This Mod. 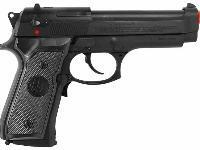 92 FS airsoft pistol is an officially licensed replica of a real Beretta 92FS. 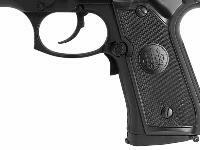 The gun is lightweight and has the same trademark engravings as its real firearm counterpart. 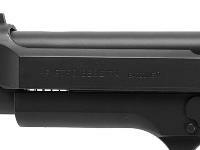 The gun features electric semi-automatic blowback firing, a 16 rd magazine, and a shot velocity of 150 fps (using .12g BBs). 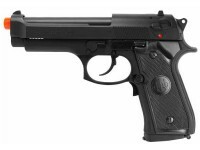 This is a concealable and very easy gun to carry in the battlefield. Pick one up for your next airsoft skirmish! Gun uses 4 AAA batteries. Click the AMMO link to stock up on ammo. 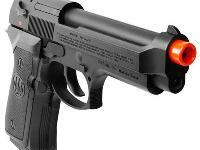 Check the ACCESSORIES link for fun targets and safety glasses. ATTENTION: The package describes the gun as having a metal barrel however, only the inner barrel of the gun is full metal. Things I liked: It's easy to shoot, and really pretty accurate. I wanted to practice weak hand shooting, and it works great for that kind of practice. What others should know: The first gun that I got was DOA. It looked just fine, but would not work at all, despite battery changes, and polarity changes. I have to say that the staff at Pyramid Air was super to work with and got me a replacement very quickly. They are great, and wanted to make sure I was happy. Things I liked: It is very light. Not cheap, just light. The electric recoil adds a feel of realism. It is decently accurate with quality ammo. Things I would have changed: Batteries, It takes 4 AAA batteries. I would prefer 2 AA or make it rechargeable (this would probably make it more expensive though). Maybe a bit more weight, I.E. weighted clip like many others. Larger clip would be nice (it holds 15 rds). Or the ability to purchase more clips. 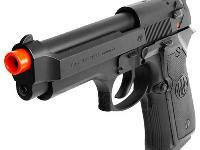 What others should know: I would not call this a CQB or Skirmish gun. 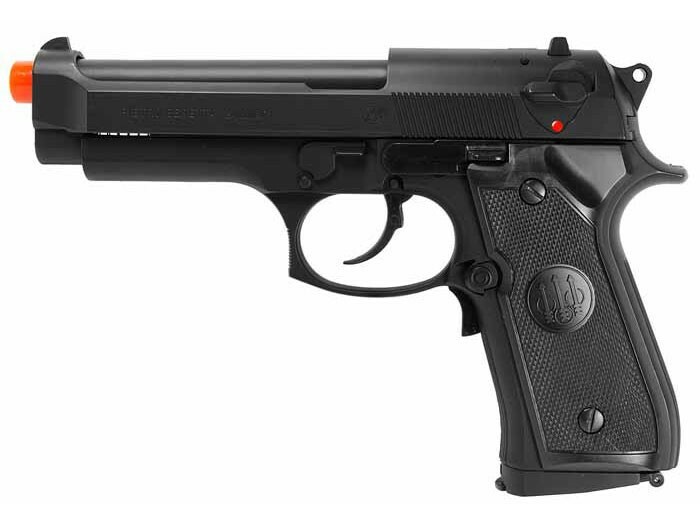 It would be fun for backyard plinking or friendly play but i would not consider this a "match-grade" pistol. Things I liked: Overall the physical aesthetics make for a very realistic prop.. Very realistic in detail and features.. 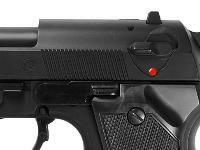 Things I would have changed: The inavalibility of replacement magazines and the frequent 'jamming' of the slide due to over aggressive trigger pulls..
What others should know: Keep the slide rail free of debris and dirt.. During a combat senerio, keep spare batteries at hand.. As with most pistols, this weapon it optimal for confortations within 20ft..
Where do you find spare mags?